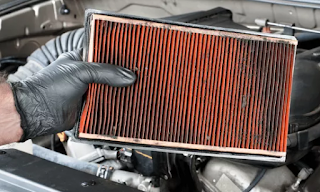 Installing a new air filter is one of the quickest, easiest, and cheapest things you can do to improve your car’s performance and gas mileage. Unfortunately, it’s also one of those things that people tend to leave off their auto maintenance checklist. this is not just use dot 4 brake fluid or something else. Your car relies on the right mixture of fuel and air to run properly. For fuel-injected cars with electronic engine controls, the fuel metering will be controlled automatically by the car’s computer (unlike the days when the mixture could be adjusted on the carburetor). Airflow, however, is crucial as well, and a free flow of air through the filter is vital. Most late-model cars will have the filter mounted in a box close to the front of the engine (check your owner’s manual or do a Google search to determine where it is, and take note of what it looks like), and the plastic box usually will have a snap-on lid for access to the filter. 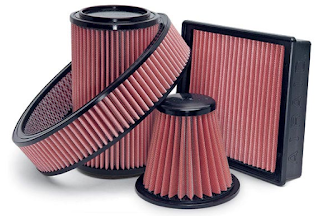 When the filter is clogged or dirty, you’ll notice sluggish performance and a drop-off in fuel economy. In extreme cases, you might even notice your dashboard Check Engine light coming on, as the impaired flow of oxygen through the system sends a bad reading to the car’s O2 sensor, which in turn registers a trouble code in the engine control computer. When that happens, the the Check Engine light appears. If you remove the air filter and it’s visibly dirty and dusty, replace it. If you can knock the filter element against the car’s fender and dust flies out, that’s a sure sign that it is time to replace it.